ROCHESTER, Mich.—Situated at the junction of two major regional rails-to-trails projects; the 16-mile Clinton River Trail and the 8.9-mile Paint Creek Trail, Rochester is in many ways a cyclist’s paradise. But while the area has much to offer recreational cyclists, those interested in using their bicycles as a means of transportation face many challenges: high-traffic roads, lack of driver education on cycling issues and safety, lack of connectivity between trails and other destinations, and a lack of infrastructure to promote cyclist safety and convenience. A new bicycle advocacy group forming in Rochester is setting out to change that, starting with a community visioning session held in partnership with the Southeast Michigan Council of Governments at Rochester City Hall on Tuesday, Oct. 22. The SEMCOG meeting in Rochester is part of a larger initiative to develop a regional non-motorized plan. 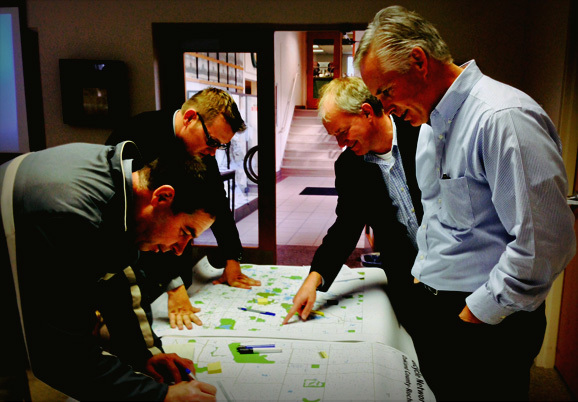 The plan will knit together all planned and built bike routes and trails and on- and off-road bike and pedestrian infrastructure in the region, and will identify gaps and develop conceptual solutions for filling the gaps. The final plan will identify priorities for Michigan Department of Transportation corridors and facilities in the region. A draft plan will be open for public comment in spring of 2014. Maximilliano Larroquette lives in a Rochester Hills subdivision with no sidewalks, and attended the visioning session to advocate for incorporating bike lanes into neighborhood streets and completing the city’s safety path system, which includes paved pathways along major roads. 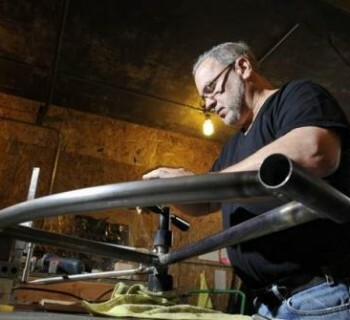 Rochester got a start on bike-friendliness in 2011 with the installation of eight bike racks in and around downtown. Lindner sees continuing to build a bicycle-friendly community as a way to benefit the college students and K-12 students in the area. Approximately 25 people, including city council representatives, a local bike shop owners, members of local biking groups, and families turned out to share their thoughts on making Rochester more bike friendly. Some of the issues discussed at the session included establishing safe routes to school, connecting the PCT and CRT to downtown Rochester, adding bike facilities on Main Street in downtown Rochester, bike parking throughout the city, and public education on cycling safety. The need to identify official bike routes connecting Rochester, Rochester Hills and surrounding cities and employment centers was also discussed. 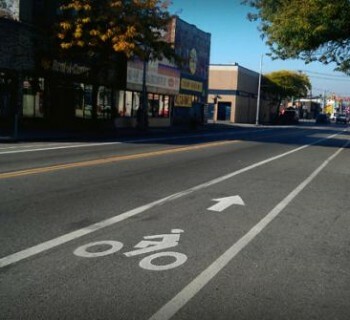 Lindner sees a lot of potential benefit for greater Rochester if the area embraces bicycle-friendliness. “We have great trails in and around the city, great signage for new visitors that help them navigate the city, an attractive downtown area for dining and entertaining, downtown hotel accommodations, and active bike organizations,” says Lindner.